Cotton jersey fabric has a soft, lightweight feel. Crew neck sets you up with a nonrestrictive fit. Back neck tape feels smooth against the skin. 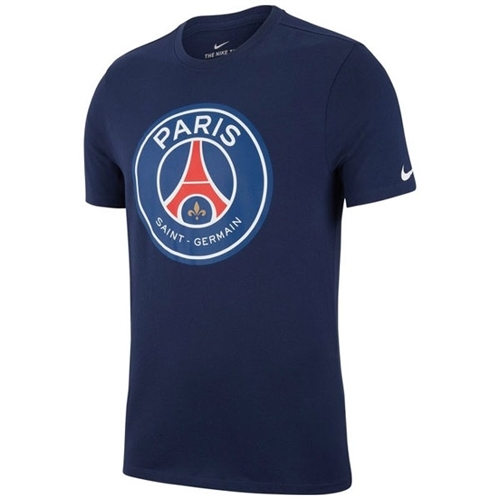 Our Nike Paris-Saint Germain Pride Tee - 2018 features a bold team crest across the center chest and soft, lightweight cotton fabric for all-day comfort.